Since 1980, Precision Imports has been the top import and domestic repair shop in Manchester, New Hampshire. Our team strives to provide you and your vehicle with the high-quality auto care experience you deserve! With over 200 years combined on-site experience in automotive repair under our belt, we understand what it takes to provide a special auto care experience. It takes a love for our craft and a personalized approach to every customer that walks into our shop. This is reflected by our community, as our shop has been voted “Best Auto Shop” and “Best Auto Service” from Motor Age, Spectrum Star, and Union Leader. We offer a variety of options, which are only available to foreign and domestic vehicles, that include but are not limited to general preventative maintenance, transmission repair, wheel alignment, exhaust diagnostics, and hybrid repair. Along with that, we also offer the New Hampshire State Inspection and Emissions test, so you can quickly get your vehicle serviced! Take comfort in knowing that when you visit Precision Imports in Manchester, NH, you’re visiting a team that’ll provide your vehicle with the personalized care it needs to perform at its best! When you visit Precision Imports, we strive to offer your vehicle with a unique kind of auto care. We treat each vehicle as a unique situation that must receive a personalized service plan. We want to make sure your vehicle gets the specific care it needs, not a plain “vanilla” look over. 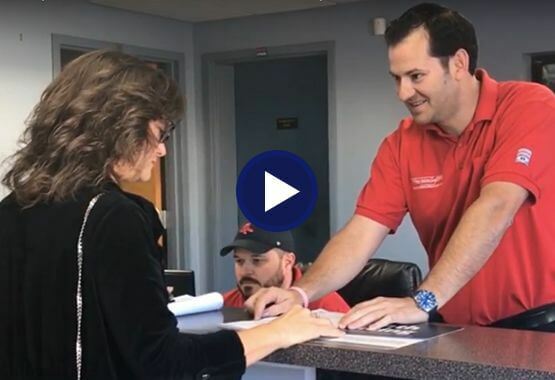 This all starts with our service advisors, who are well-versed in all of our services and how they apply to the vehicle’s brand-specific requirements. By taking note of your vehicle’s make, model, current condition, and your concerns, they’ll be able to provide you with the best solutions for you, your vehicle, and your budget. From there, we transition to our technicians. ASE Master Certified, they’ll be able to handle any service that your vehicle may need. Along with that, they are also well versed in the numerous brand-specific requirements and guidelines that import vehicles typically require. Whether your Mercedes needs an A Service maintenance check or your BMWs CBS System is triggered, they’ll know how to handle it all! 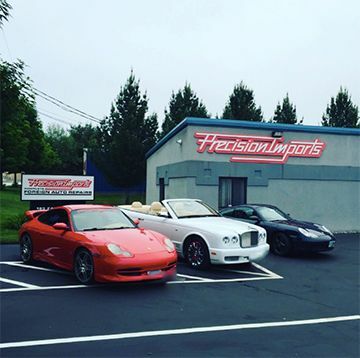 If your foreign or domestic vehicle runs into trouble, make sure you visit Precision Imports in Manchester, NH! Our ASE Master Certified technicians and expertly trained service advisors will provide you and your vehicle with the personalized, brand-specific auto care your vehicle deserves! Give us a call at 603-624-1113 and schedule an appointment with us today! In the area and want to meet our team? Stop by our shop at 183 Faltin Drive and see what we can do for you!